Dr. Janet Sell has been employed at Ozarks Technical Community College (OTC) since 1999 and enjoys teaching in the dental assisting and hygiene programs. She serves as the Dental Assisting Program Director and an instructor at the college. Prior to college employment, Sell worked as a certified dental assistant in private practices. Throughout the years, Dr. Sell has created, directed, and participated in numerous continuing education dental events and seminars at the local and state levels. For the last 10 years, Dr. Sell has served as a curriculum consultant for the Commission on Dental Accreditation and has worked with the Missouri Department of Elementary and Secondary Education at the University Central Missouri serving as an instructor in the Career Technical Education Department. 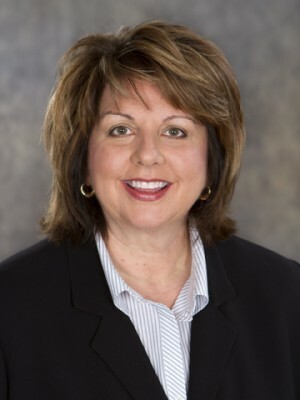 She has served on many professional organization boards, including the Missouri Dental Assistants Association, Springfield Dental Assistants Society, and Missouri Dental Assisting Educators. Dr. Sell holds a certificate in dental assisting, an A.A.S. in Occupational Education, a B.S. and M.A. in Communications, a Certificate of Advanced Graduate Studies in Higher Education Leadership and a Doctorate in Higher Education Administration from Lindenwood University. She is a certified online instructor, an alumnus of the OTC Leadership program, and the inaugural OTC Chancellor’s Leadership Academy. Sell has received formal recognition of achievement for her work, including a 2013 Excellence in Education award. Dr. Sell lives with her husband, David, and their two dogs, in Springfield, Missouri. She enjoys boating, spending time with family and friends, and traveling. Dr. Sell is actively involved in the community, such as overseeing a dental endowment scholarship program and providing volunteer services at charitable dental events.